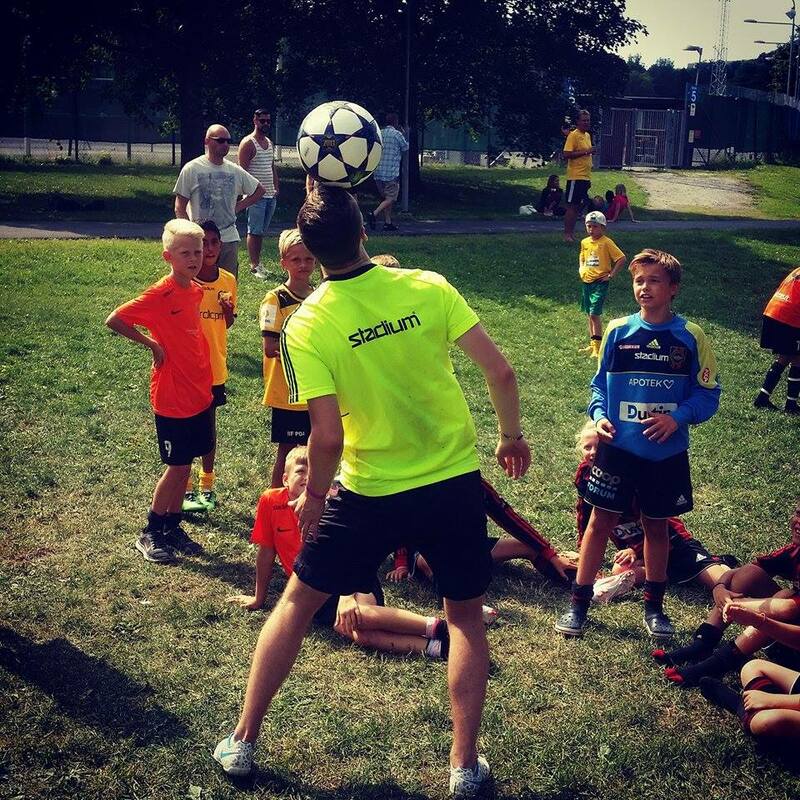 in Stockholm, Football Freestyle Team was making shows for the kids. Joakim Kjellgren, a wellknown Swedish Freestyler did some shows for the kids and he also inspired the kids to do some nice mowes too. Football Freestyle Team is trying to get the kids to show our sport Football Freestyle and try Freestyling. Mainly not for trying to get them to Freestyle full time, but to practice ballcontrol to get a better touch in the field. Joakim Kjellgren like the rest of our guys is good to do that. Lets Get Inspired ! Football Freestyle Team, Joakim Kjellgren.